Very suitable for pies and cooking. Larger fruits with small seed cavities and thick, straight, cylindrical necks. Fruits avg. 9" long, avg. 4-5 lb. Flesh has smooth texture and sweet flavor, particularly after 2 months of storage. 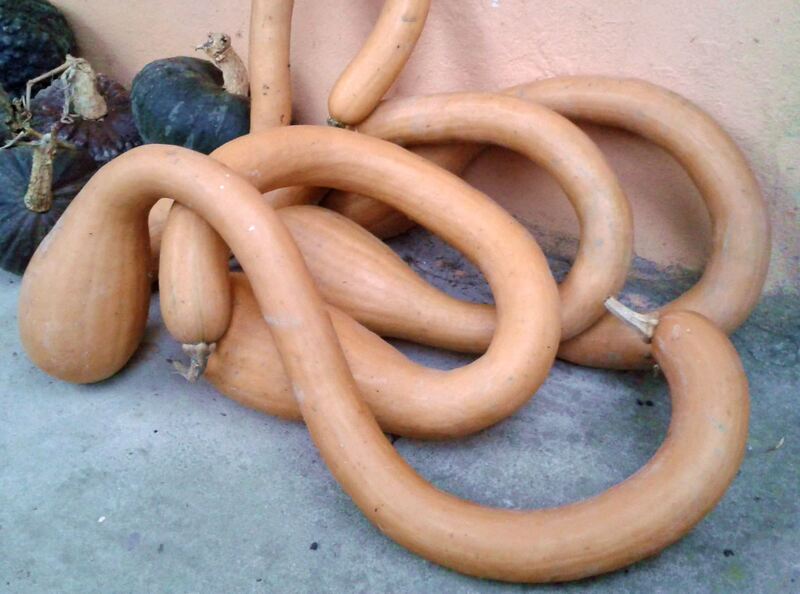 One of the best known and appreciated pumpkin varieties in Northern Italy. 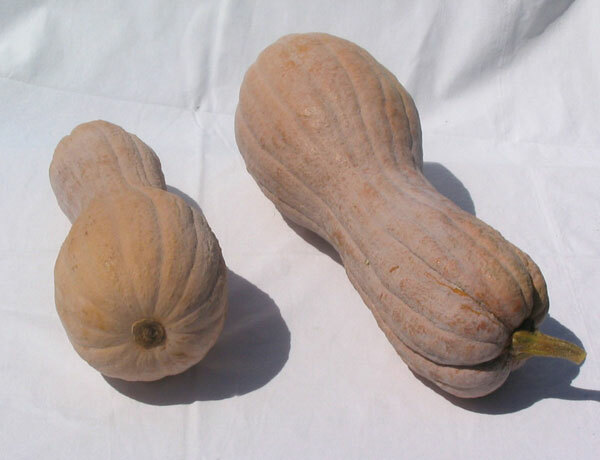 Also known as "violin squash" due to its characteristic shape, it is also called Gandiotti pumpkin in the Mantuan area, or Rugosa; used for tortelli. Nutterbutter - This variety was selected for precocity by High Mowing Seedlord in Vermont with the help of Jodi-Lew Smith. Ponca - This variety of the USA (named in honor of the Ponca Native American people) was developed by Dermot P. Coyne of the University of Nebraska at Lincoln in 1976. 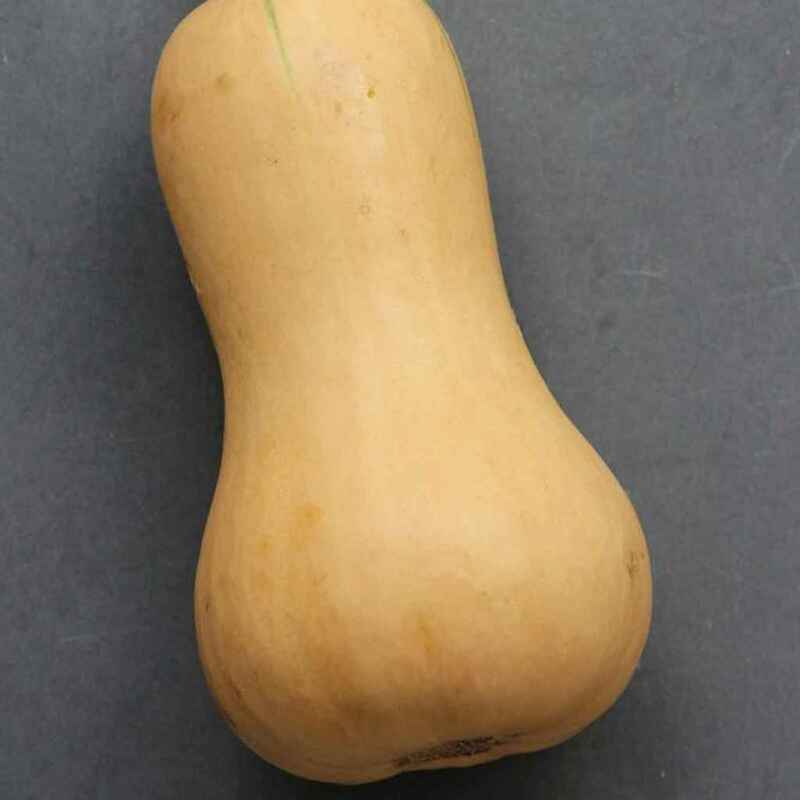 It comes from a cross between "New Hamsphire Butternut" and "Butternut" 23 ". 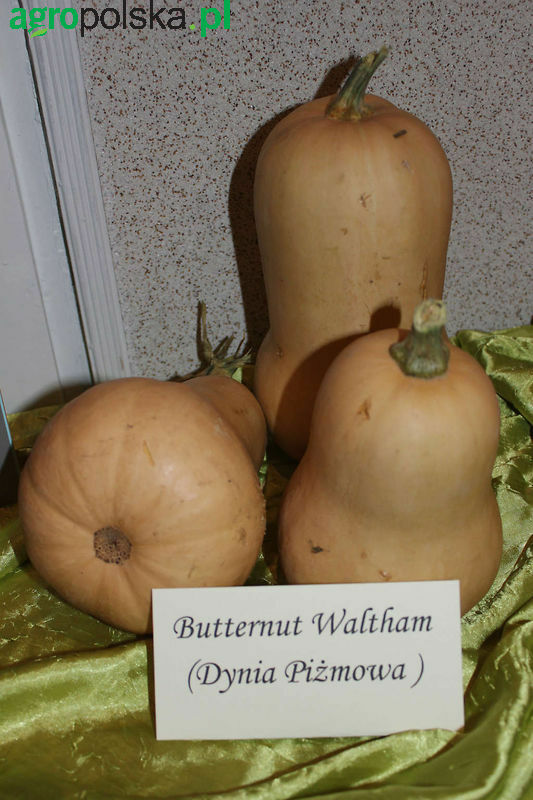 Waltham - The first types of Butternut appeared in New England in the 1930s. They are probably from Canada Crookneck. 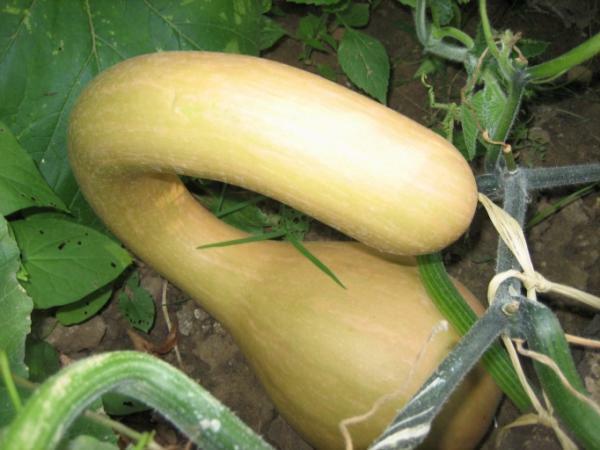 The variety "Butternut Waltham" was developed in 1968 by Bob Young of Waltham Agricultural Experiment Station in Massachusetts. 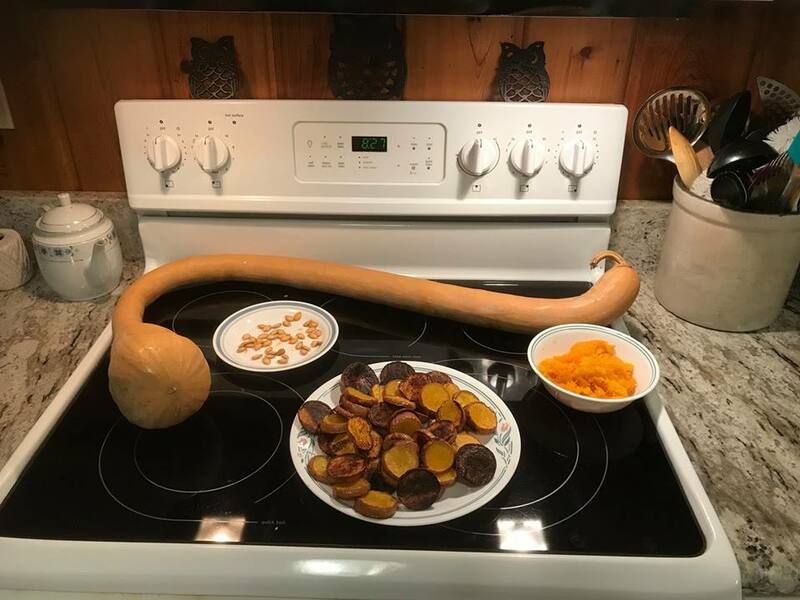 He crossed the variety "New Hampshire Butternut" with a variety without collar of Turkey. 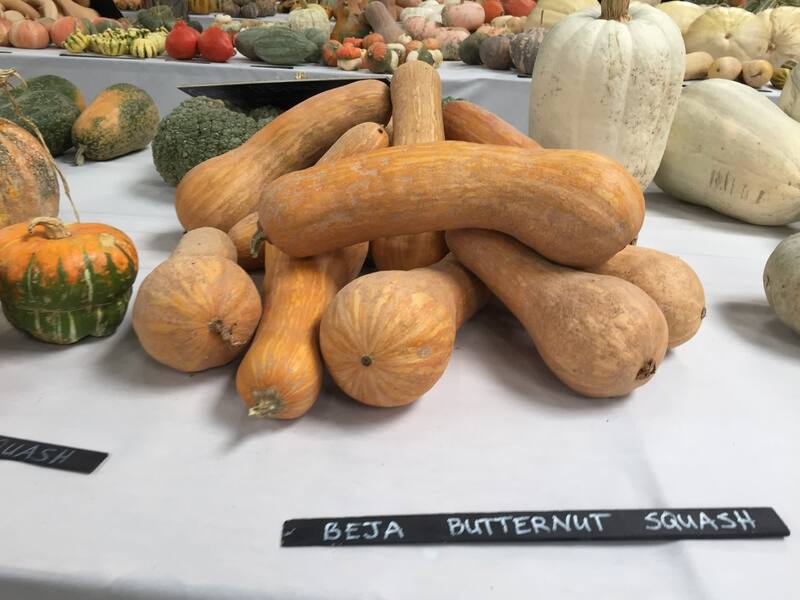 This variety "New Hamsphire Butternut" was developed in 1956 by Yeager and Meader from a cross between "Butternut" and "Taurukubi". 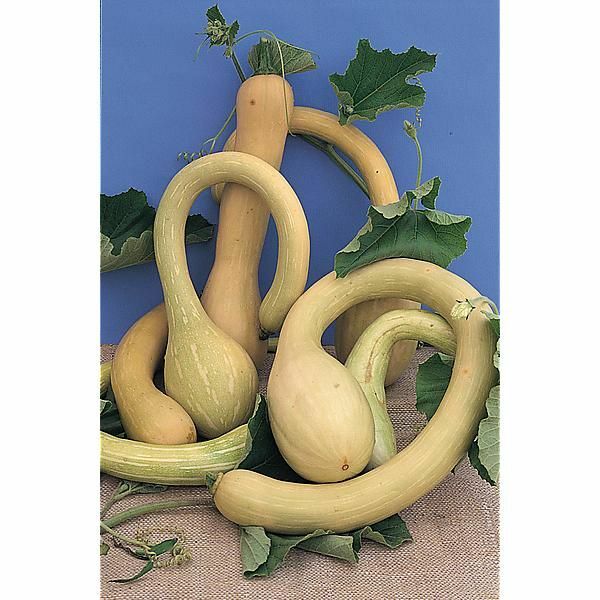 Canada Crookneck - This traditional variety was mentioned for the first time in 1824 in Virginia House-Wife by Mary Randolph. It was introduced commercially in 1834 by the seedman Charles Hovey of Boston. 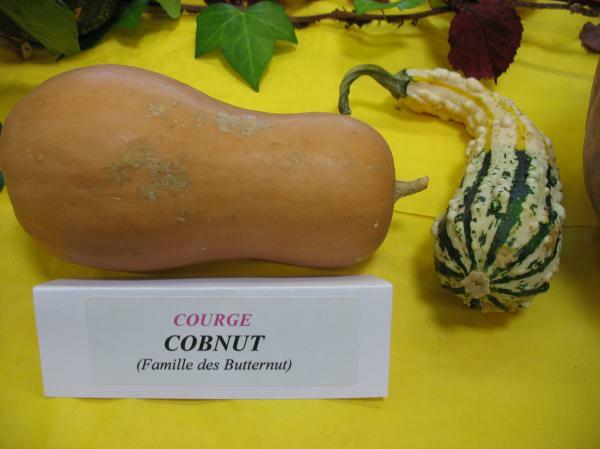 It is also known as "Canadian Winter Crookneck", "Couge Cou Tors of Canada". Canada Mezoides - Excellent variety of 'Butternut' type. Early and productive. 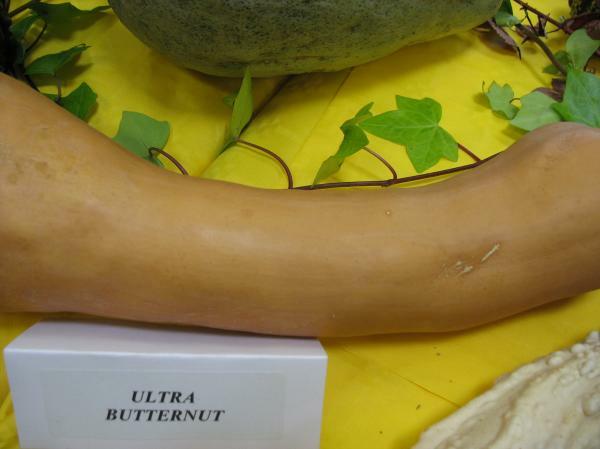 Epidermis and flesh are darker in color than Butternut Waltham. The flesh is finely granular. Ideal for pies. 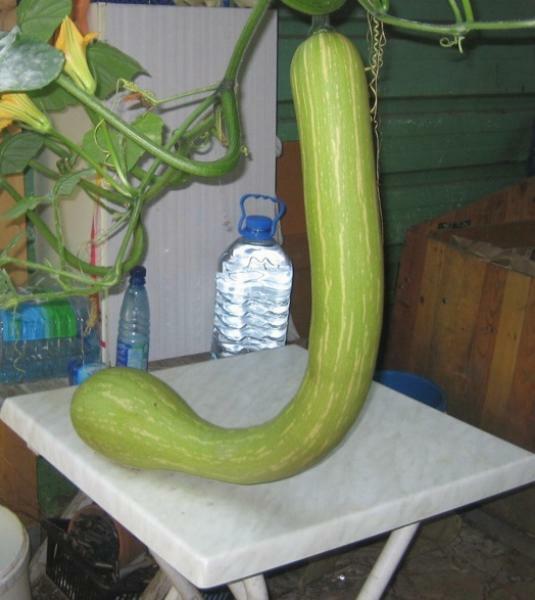 Also known as Tromboncino d'Albenga, or Trompette d'Albenca. 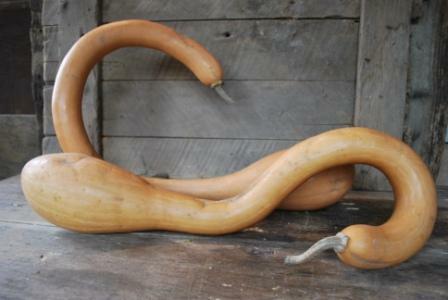 An Italian heirloom with a wonderful curvy neck and a nice light brown skin. Very easy to grow and great for baking. Scoring on the neck part is without seeds and, therefore, easy to peel and bake. 85 days. 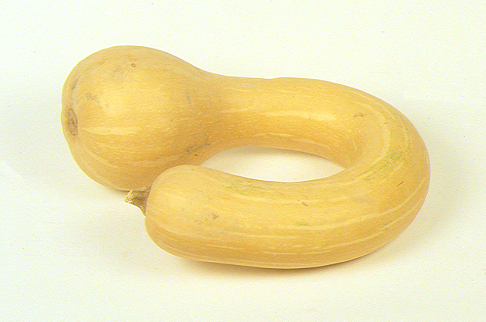 Favored for its especially long neck, making slicing and cooking the squash easy and convenient. 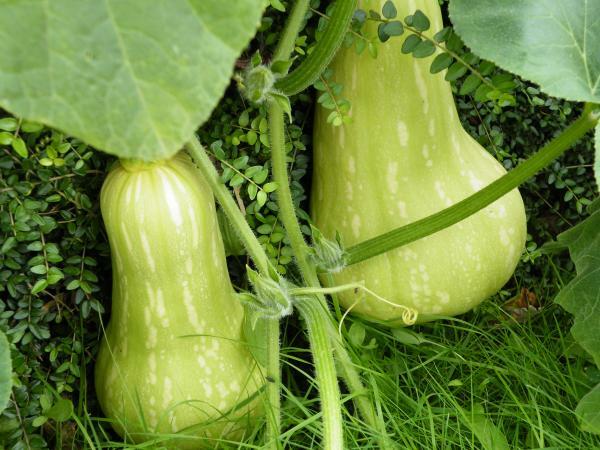 Review: We always grow in raised beds on trellis several seeds of Tromboncino Squash. 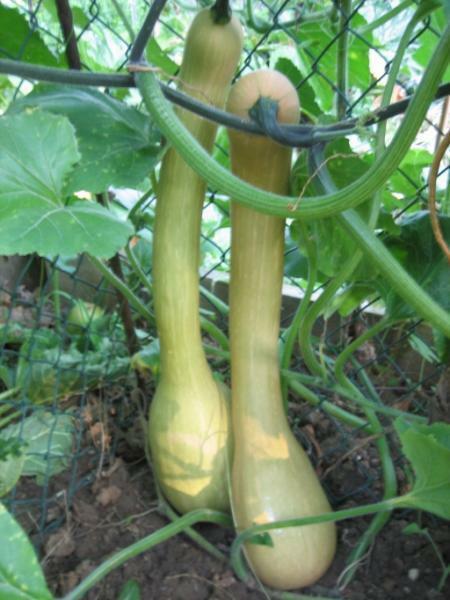 Can be eaten in the early stages when it is green/slender/tender. Roasted one this morning. 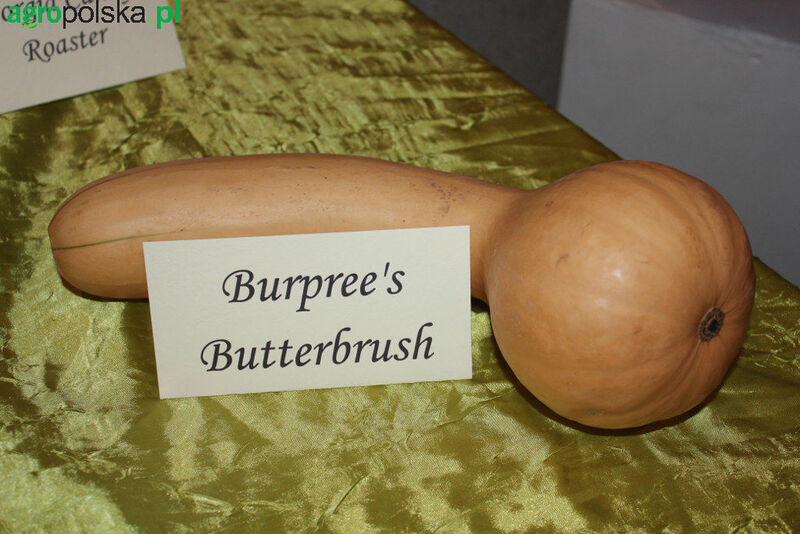 I have won several 1st place ribbons in our local county fair in the longest squash category;generally 50-56 inches long. The BEJA variety comes from Hungary. The name is the abbreviation of its father's name, Professor Bereni Janos. 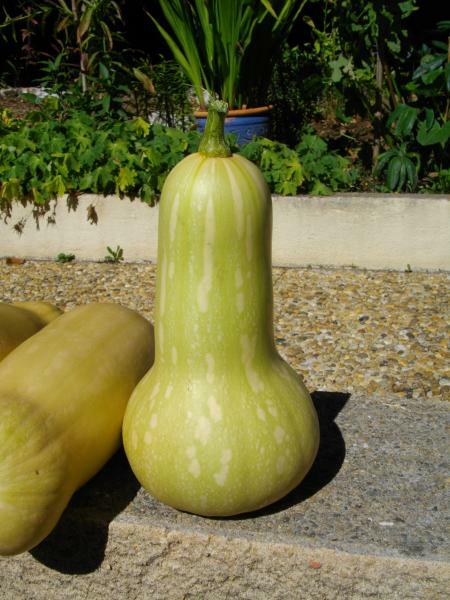 A Butternut- pear-shaped, with seeds only in the lower widened part. The pulp is fine, pale orange, named after the buttery consistency. The normal skin color is ocher, and light. 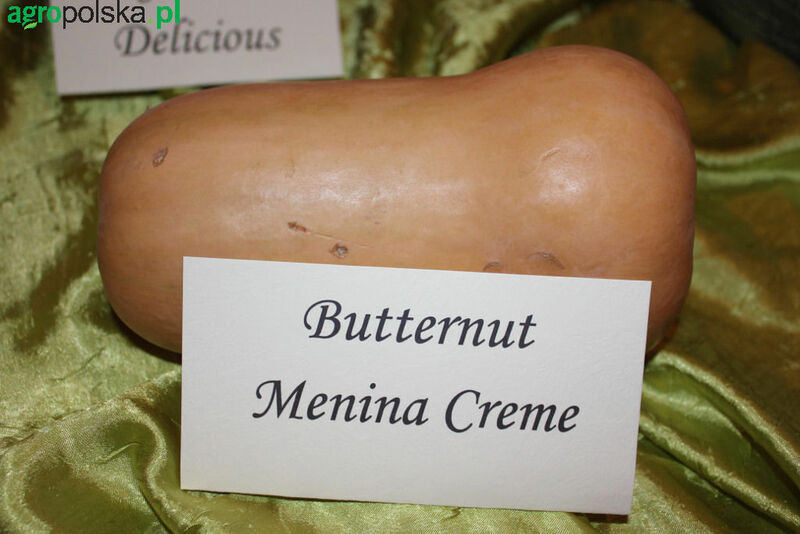 Beja is a bit different butternut. 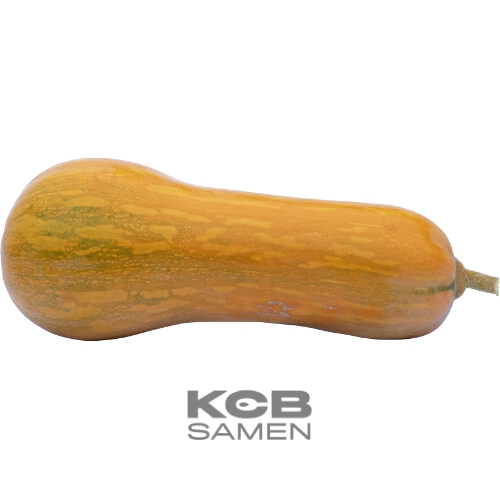 Unripe fruits are dark green, at the time of ripening, the skin is dyed in a deep ocher to orange-brown color. The intensity of the coloring is reflected in the pulp - it is deep orange, sweet and tasty. It can also be eaten raw. Beja is excellent for soups, spreads, puddings. It is well-storable, Prof. Bereni focused on this property when choosing from the old regional variety Sonca. Weighs up to 2 - 2,5 Kg. True bush vines. 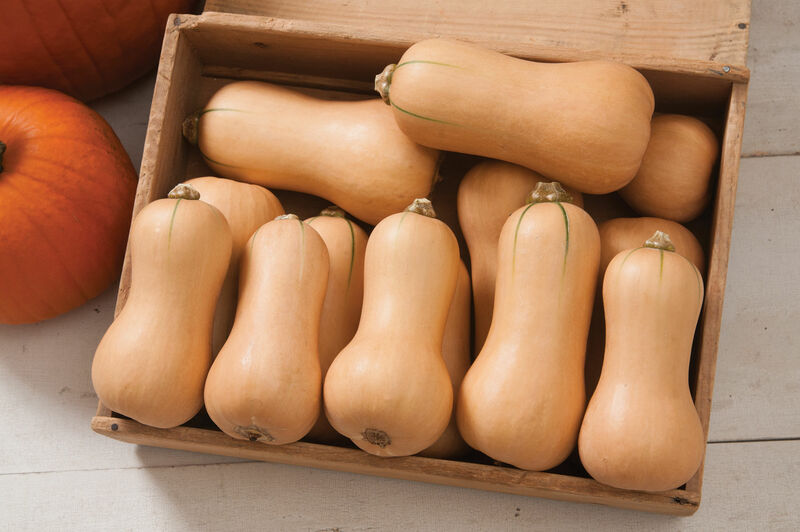 Grow this butternut squash in a big pot or as tidy, small plants in the garden, chubby 2 to 3 pound, creamy-tan colored fruits. 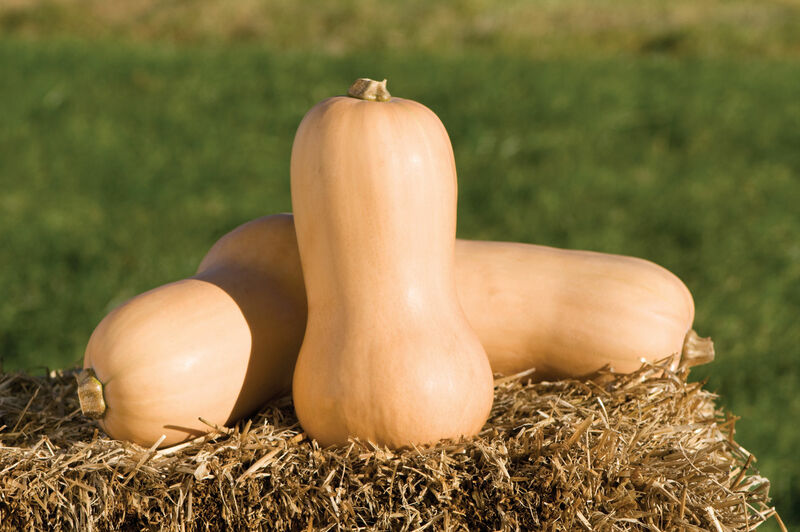 Each bush bears 4-5 butternut-shaped fruits averaging 1 1/2 lb. 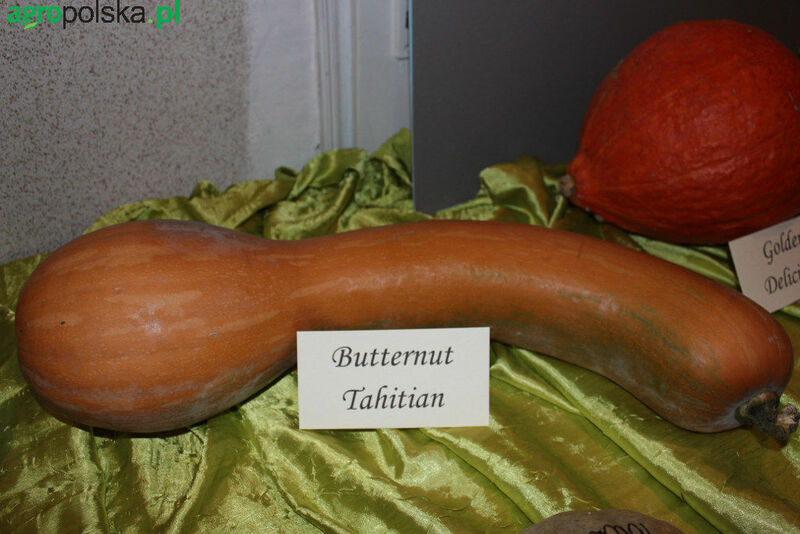 The bright orange flesh is smooth with sweet butternut flavor. 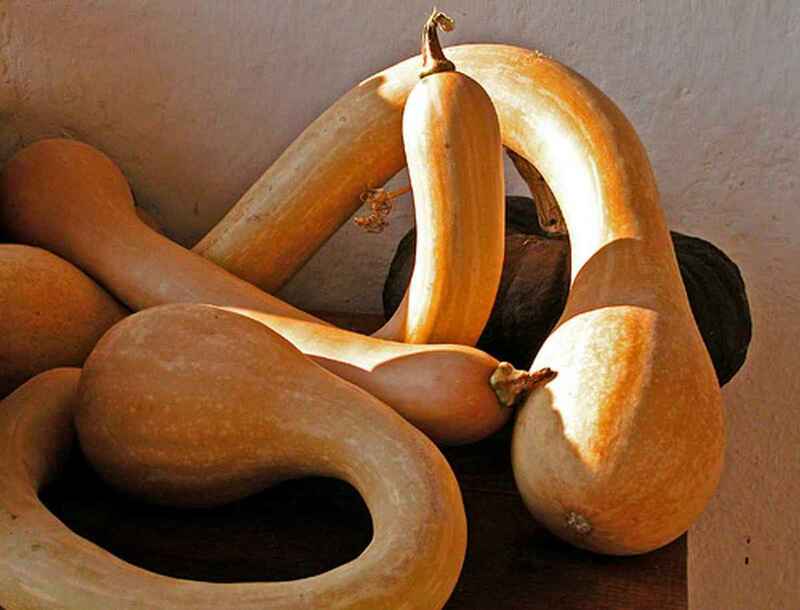 One of these squashes is perfect for a meal for two. Stores well. A hybrid bred in England. 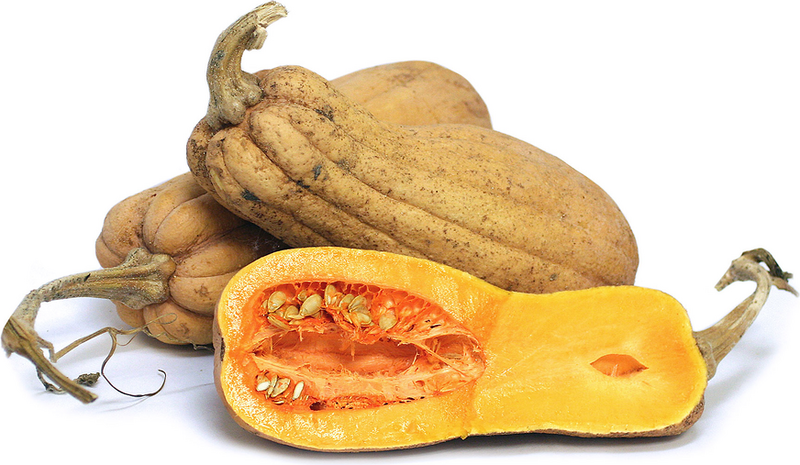 Violina di Rugosa squash is an heirloom butternut named after its violin shape and rough or scalloped skin. 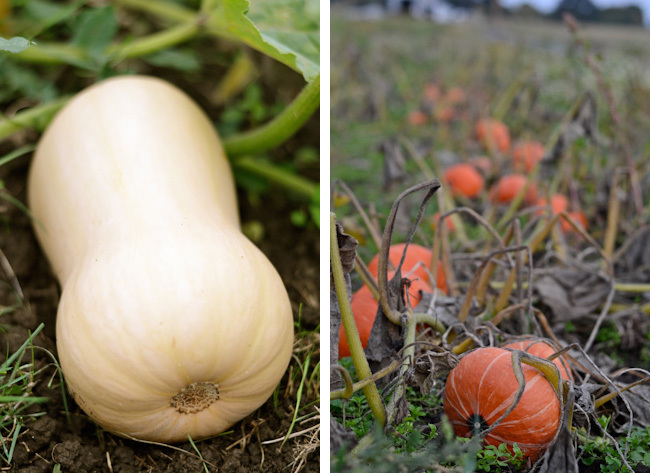 The Violina di Rugosa is a medium-sized squash that can grow more than twelve inches in length. It resembles a peanut in shape, pinched in the middle. 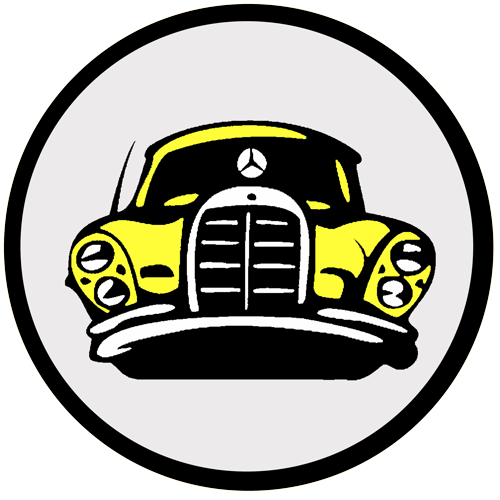 The skin is a tannish-cream, and the deep orange flesh isn�t overly dry or watery. The seed cavity is proportionately small, providing a greater amount of intact flesh. 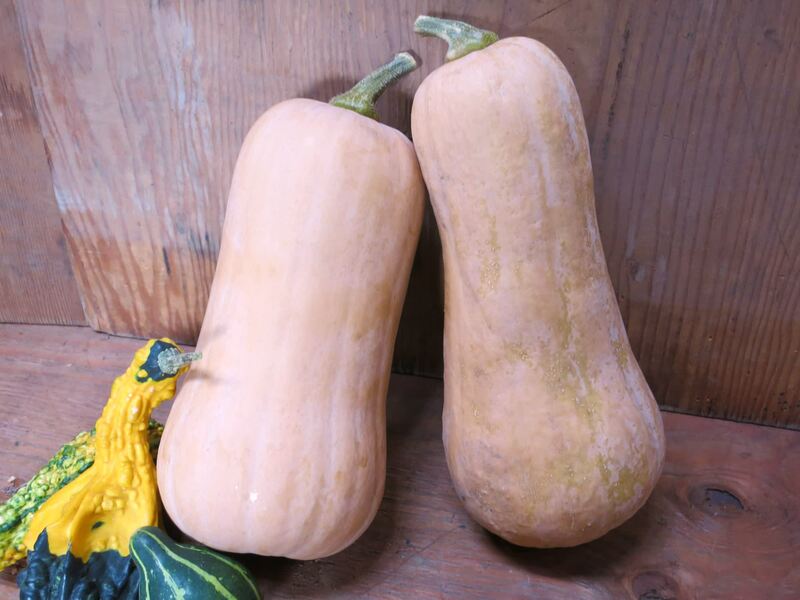 Its flesh has a creamy, smooth texture when cooked with a sweet flavor similar to that of the classic butternut squash but with richer nut like nuances. 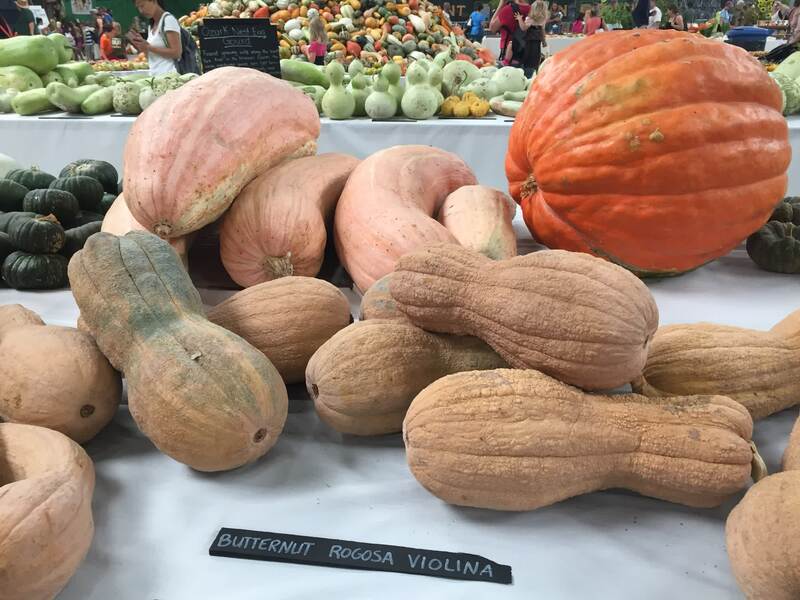 The Violina di Rugosa squash is believed to be native to southern Italy. 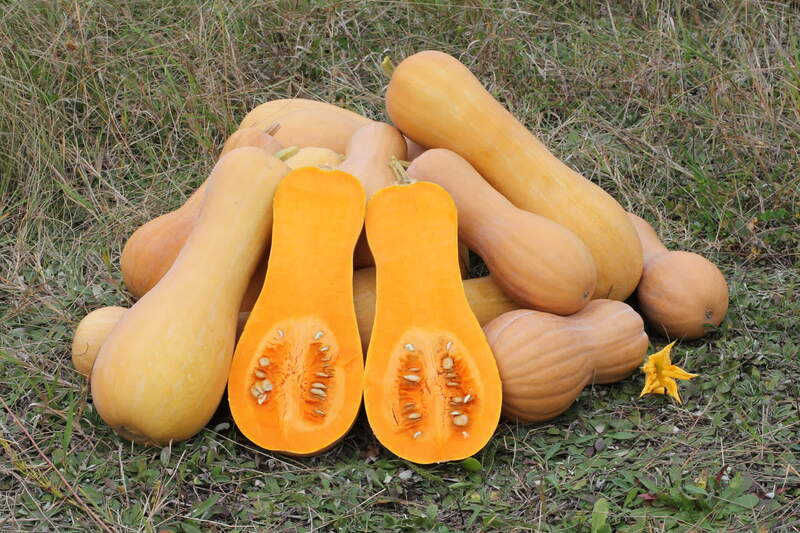 It is considered an old squash variety, yet the exact year of origin is not documented. The Rugosa Violina is abundant in Italy and can be found in many local dishes ranging from savory to sweet. 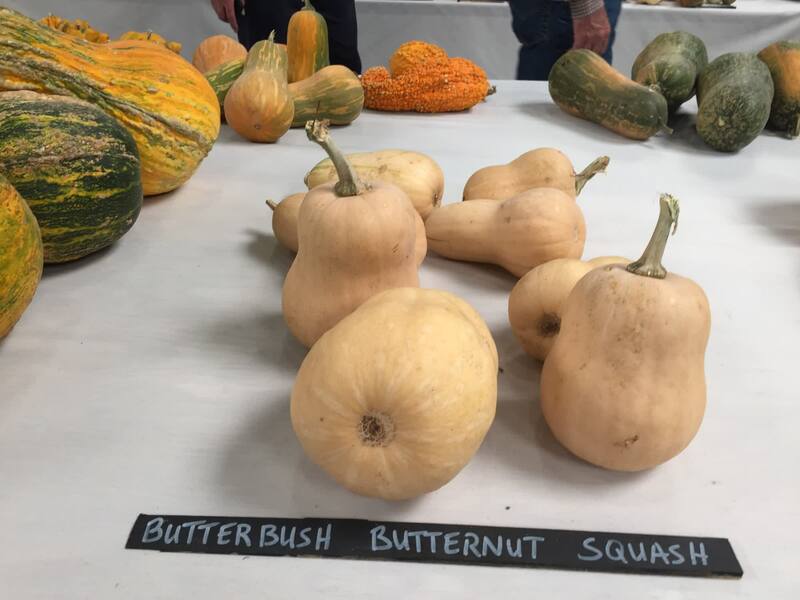 A unique variety the Violina di Rugosa squash can only be found growing for distribution in a few specific areas of the United States,in New Mexico and California.